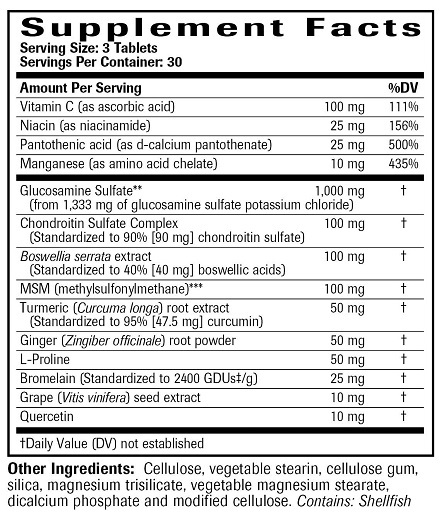 We only use the highest quality sulfated forms of glucosamine and chondroitin. Studies (most notably the GAIT study) have shown that these forms are more effective than glucosamine just bound to hydrochloride (HCL). The Glucosamine/chondroitin Arthritis Intervention Trial (GAIT) was a large, randomized, placebo-controlled trial conducted at several sites across the United States. GAIT was funded by NCCAM and the National Institute of Arthritis and Musculoskeletal and Skin Diseases and included 1,600 participants. 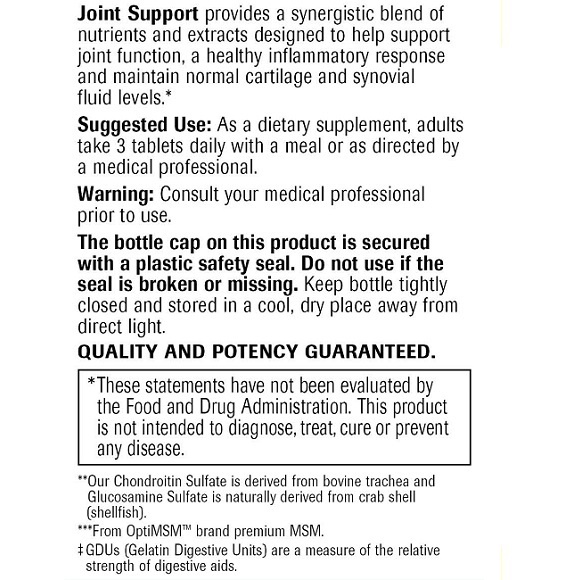 We use “fully reacted” forms of glucosamine sulfate. This is the result of combining glucosamine HCL with potassium sulfate to form glucosamine sulfate. Many products on the market only mix these two compounds into a tablet or capsule and “assume” the reaction will occur. Fully reacted means the ingredients are bound together and not just living side by side in the same capsule, ensuring the potency of our product. Glucosamine sulfate has been studied for its ability to help support the production of healthy cartilage; the main structural component of joint tissue. Glucosamine sulfate also nourishes the cells of both the synovial membrane and fluid, vital for lubricating moving joints. 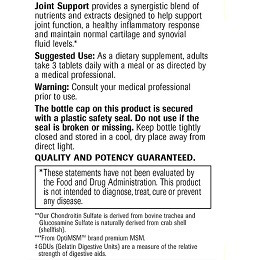 Chondroitin sulfate is an important component of healthy cartilage, and also helps protect existing cartilage from water loss and breakdown by enzymes secreted during the inflammatory process. OptiMSM® is the purest form of MSM available. MSM is a source of the mineral sulfur which plays a significant role in formation and retention of healthy cartilage and other types of connective tissue. MSM may also help support a normal, healthy inflammatory response. Turmeric has been shown to support healthy inflammatory response, hence promoting joint relief and reducing pain and stiffness. 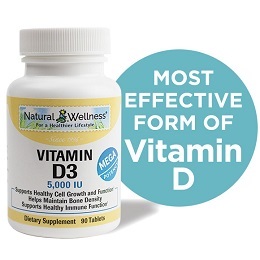 It is also a good source of antioxidants that reduce free radicals for healthy joints. Our Standardized boswellia has been shown to support healthy joint function and a normal, healthy inflammatory response. It is a normal function of the body to produce substances called leukotrienes that promote inflammation in the joints. Boswellia is an herb shown to inhibit the production of leukotrienes. Vitamin C promotes collagen production which provides support for ligaments, bones and joint repair. 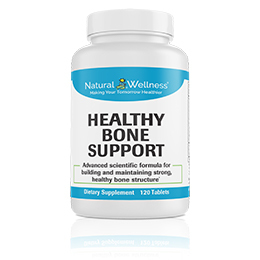 Manganese supports healthy bone formation and joint flexibility. It is a component of the antioxidant enzyme superoxide dismutase (SOD) which protects joints from free radicals and inflammation. L-proline supports the synthesis of collagen for the formation of connective tissue. Niacin has been used by doctors as early as 1943 to alleviate arthritis, reporting that niacin improved joint mobility and function, and frequently decreased swelling. Pantothenic acid has been shown in studies to reduce levels of swelling and pain in people with arthritis. In clinical studies, people suffering from rheumatoid arthritis have been shown to have lower levels of pantothenic acid in their blood than healthy individuals. 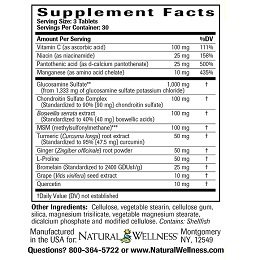 Bromelain, quercetin, grape seed extract and ginger root powder are natural anti-inflammatories. 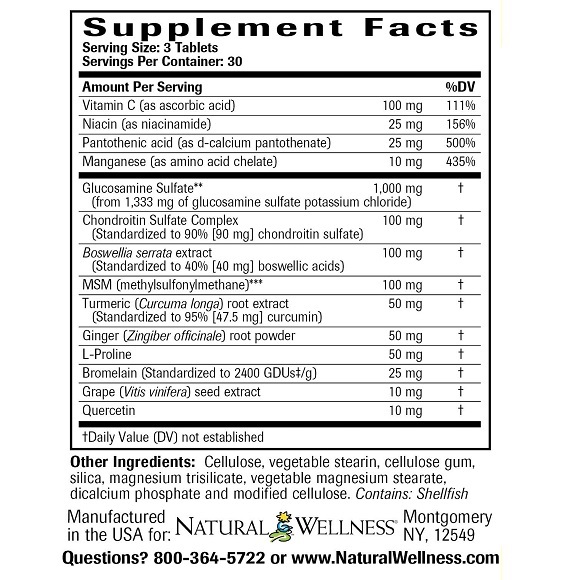 Also, supplementing with bromelain after injury has been shown to speed up the healing process. Joint health requires a complex interplay between nutrient availability, inflammation and repair of articular cartilage and maintenance of the synovial fluid. Symptoms associated with joint conditions are the result of cartilage degradation, increased inflammation and free radical production within the joints. Supporting a healthy balance between these processes is crucial for the proper functioning of the joints. 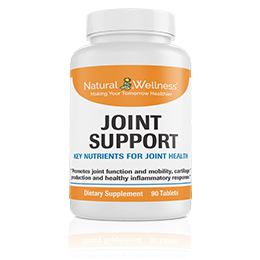 Our Joint Support formula provides key nutraceuticals to help support a healthy inflammatory response, facilitate cartilage synthesis and provide antioxidant support. 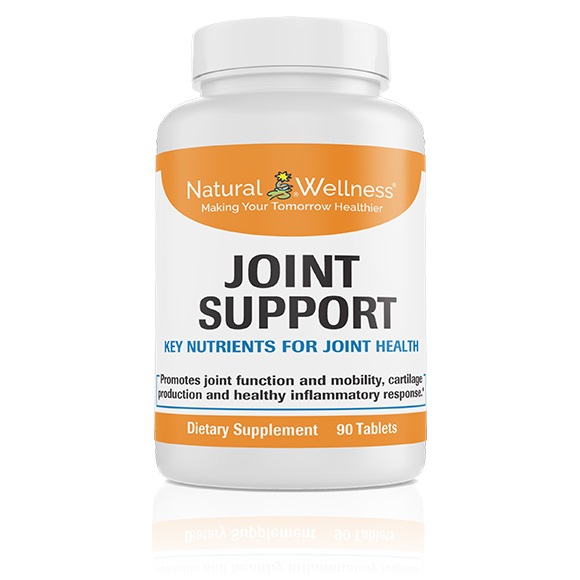 Joint Support from Natural Wellness® supports your body’s ability to maintain healthy joints, connective tissues and supporting structures to promote a long life of pain free movement. According to the Centers for Disease Control, the leading causes of disability in the U.S. are arthritis and related rheumatic conditions, which cause joint pain and inflammation in sufferers. Arthritis results from immune system disorders or wearing down of the cartilage and tissues of the joints. Chronic joint symptoms (CJS) result from pain, aching, stiffness or swelling in or around a joint. Approximately 70 million Americans suffer from chronic joint symptoms and or arthritis. Over 10 million Americans already have osteoporosis and about 18 million others have lost some bone mass and are likely to develop osteoporosis in the future. Aspirin and non-steroidal anti-inflammatory drugs (NSAIDs) are commonly used for short term joint pain relief, but these drugs have common side effects that include upset stomach, peptic ulcers, bleeding from the digestive tract, liver and kidney problems and, in some cases, enhanced risk of cardiovascular disease and stroke. Therefore, many people are looking for alternative approaches with less severe side effects. Joint Support is MANUFACTURED in the USA to meet FDA strict current Good Manufacturing Practice regulations (cGMP).